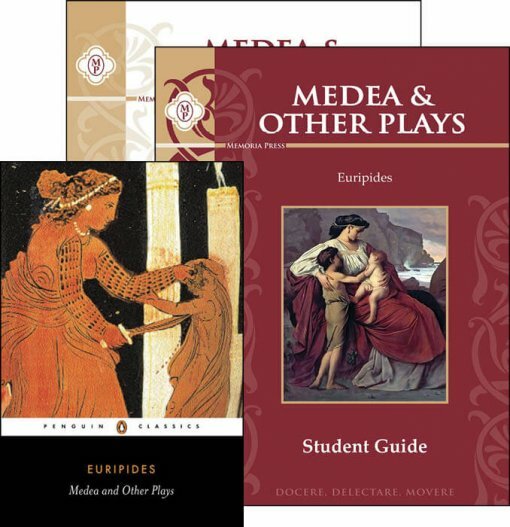 Euripides further developed the tragedy, instituting the deus ex machina, a prologue with a background, and greater realism. His heroes are less resolute and more psychological, fraught with internal conflict. Here is the revenge of Medea and Hecabe, and the exciting adventures of Heracles in the Underworld. Want to make it a full-year course? 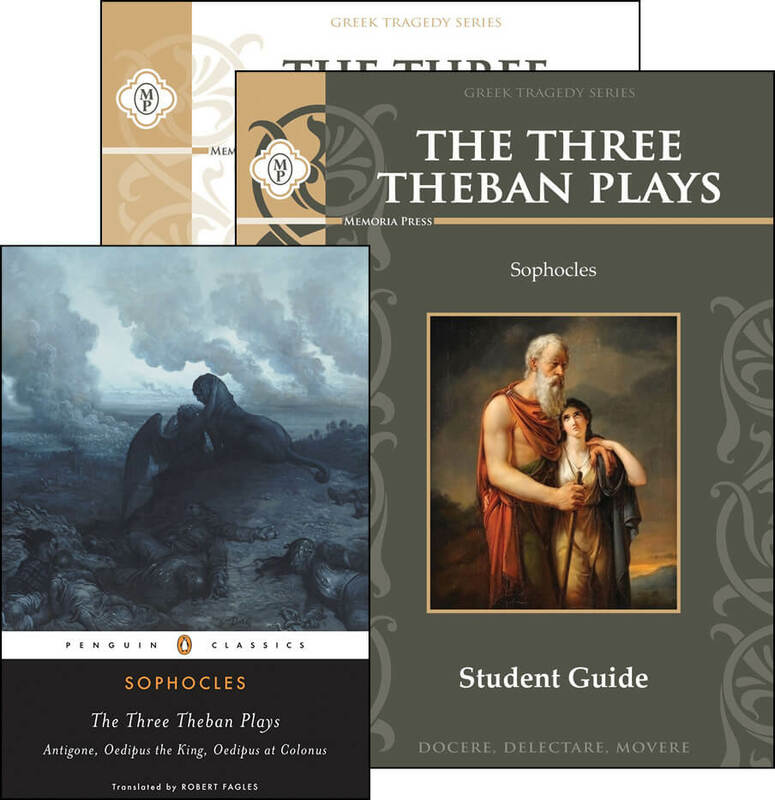 Buy the Greek Tragedies Complete Set. The four tragedies collected in this volume all focus on a central character, once powerful, brought down by betrayal, jealousy, guilt, and hatred. The first playwright to depict suffering without reference to the gods, Euripides (484-407 B.C.) made his characters speak in human terms and face the consequences of their actions. In Medea, a woman rejected by her lover takes hideous revenge by murdering the children they both love, and Hecabe depicts the former queen of Troy, driven mad by the prospect of her daughter’s sacrifice to Achilles. Electra portrays a young woman planning to avenge the brutal death of her father at the hands of her mother, while in Heracles, the hero seeks vengeance against the evil king who has caused bloodshed in his family. Need Lesson Plans for Greek Tragedies?